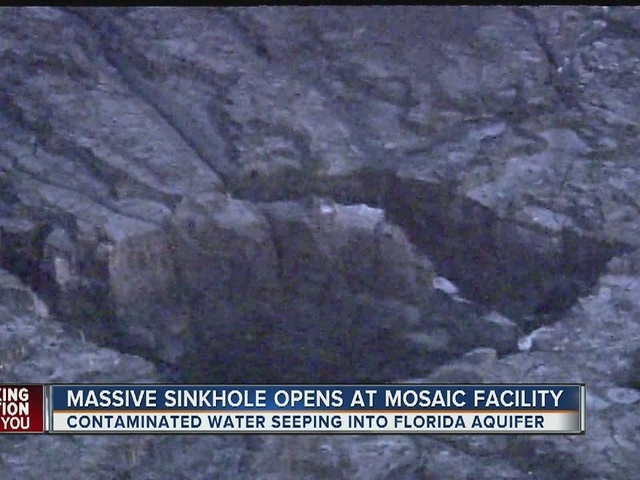 Crews at the New Wales Mosaic plant in Polk County, Florida are scrambling to stop contaminated and radioactive water from continuing to seep into the Florida Aquifer. 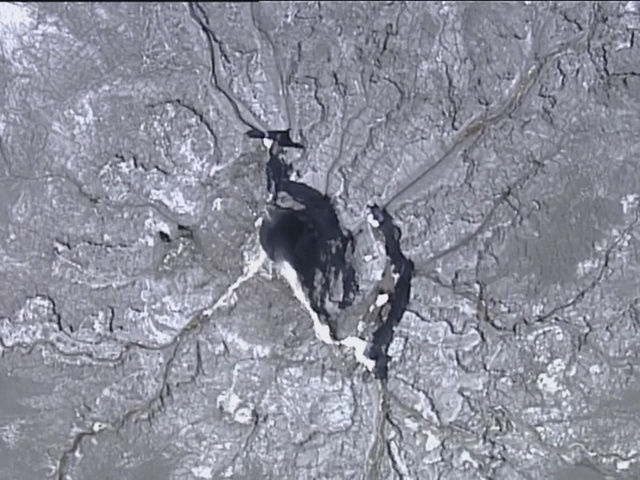 Officials say a massive sinkhole was discovered August 27th in one of the Gypsum Stack’s containment ponds. “One of our field technicians who’s job it is to monitor water levels in the ponds, when they were making their rounds they identified that there was a water level drop,” said David Jellerson, Senior Director of Environmental for Mosaic. Once they drained the ponds, they discovered a 45 foot hole with seemingly no bottom. Water continuing to stream down inside. 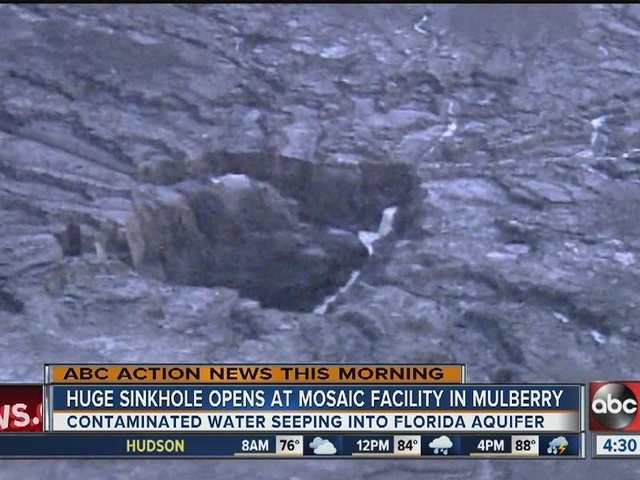 Officials say about 215 million gallons of contaminated water used to process fertilizer has drained into the hole. 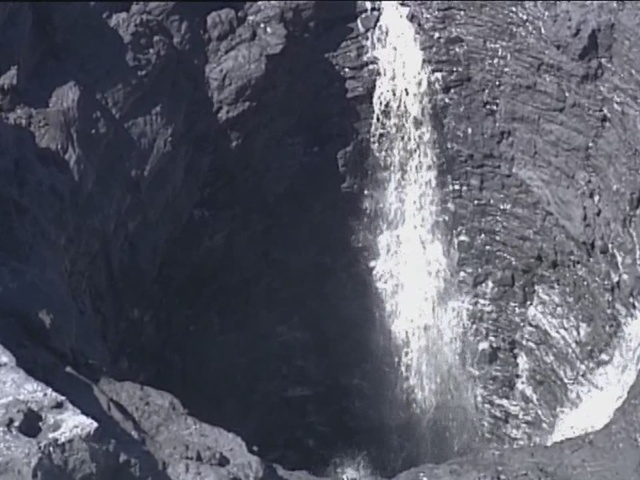 “We activated a recovery well so we can capture any water that has gone down the hole,” said Jellerson. 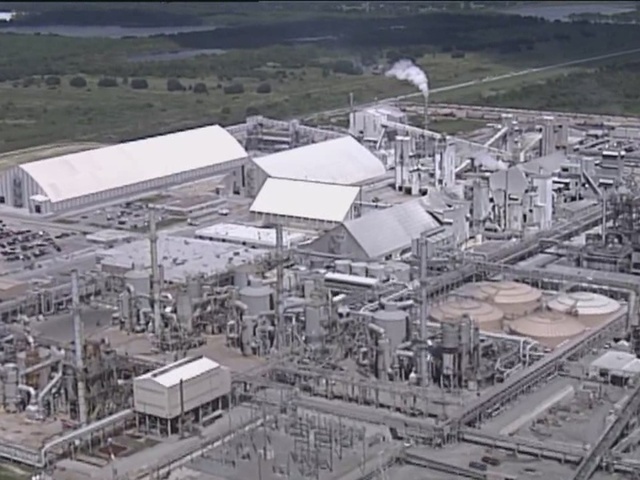 That recovery well is pulling contaminated water out of the aquifer and back into the plant, a process officials say could take months to complete. Until then they’ll be relying on an extensive network of monitoring wells surrounding the plant. 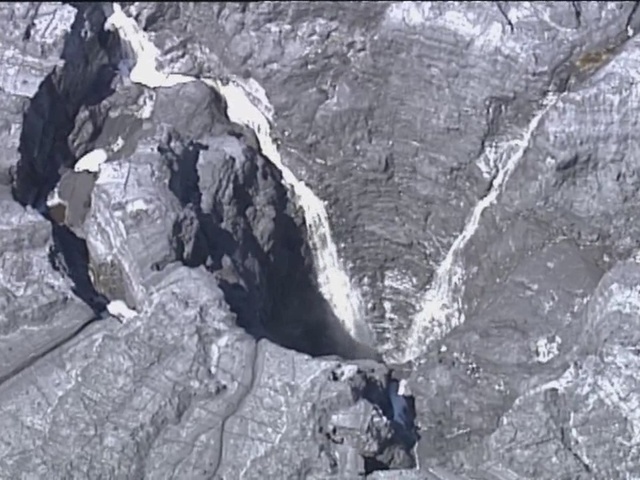 Officials say they will run tests to see how far the contaminated water may have traveled. So far those wells have not detected any additional contaminants in the groundwater, which means the pumps are working. “We’ve been in contact with the Florida Department of Environmental Protection every single day, they’ve been out here,” said Jellerson. Right now officials say there is no risk to surrounding communities but have added around the clock monitoring of the cleanup effort. Each one of the containment ponds sit on top of a liner that keeps the contaminated water from going into the ground. 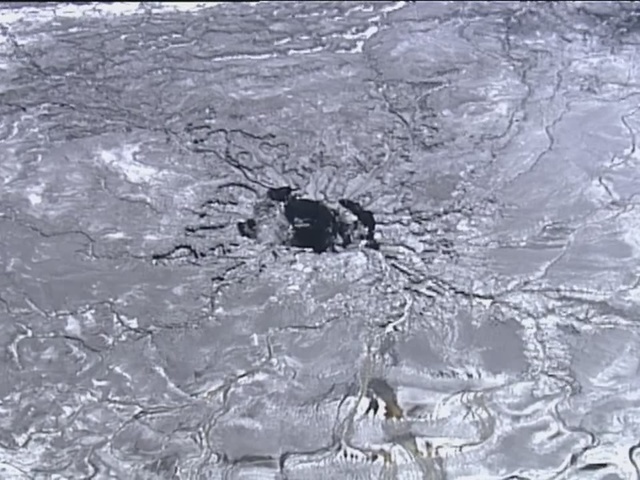 However officials say the sinkhole collapsed that liner sending the water gushing below. You can search for Mosaic's compliance with environmental regulations on the EPA website .